After having to recall 82 Prius models due to a fault with its wiring harness, Toyota Motor Philippines has announced a new recall. This time, Toyota’s gasoline-electric hybrid has been hit with a problem concerning its Power Management ECU. 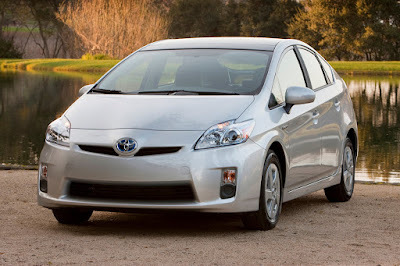 According to Toyota Motor Philippines, 65 units of Prius produced from April 16, 2009 to April 3, 2013 are affected. The involved vehicles were designed to enter a failsafe driving mode in response to certain hybrid system faults. Toyota has found that in rare situations, the vehicle may not enter a failsafe driving mode as intended. If thus occurs, the vehicles could lose power and stall. Steering and brakes would remain operation, but a vehicle stalling at higher speed could increase the risk of a crash says Toyota. Toyota Motor Philippines says a Power Management ECU reprogramming is needed and this will be done at no cost to owners. However, the carmaker said that they are still in the process of preparing the update. When it becomes available, they will notify owners with Official Notification Letters and invite them to bring their vehicles to an authorized Toyota dealership for the special service.